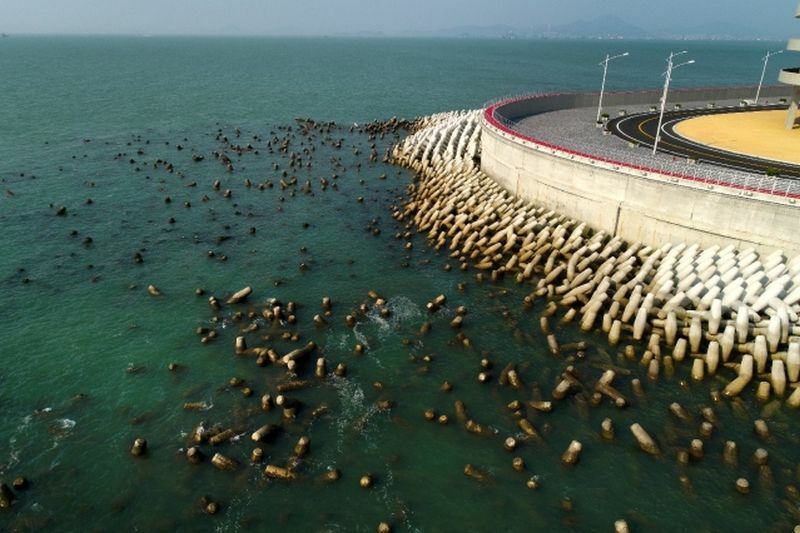 Components of the breakwater structure for the HK$120 billion Hong Kong-Zhuhai-Macao Bridge’s eastern artificial island have been found to have shifted in position. A photo of the island just west of Hong Kong’s border, originally posted in a Facebook group of drone users, was widely-shared on Tuesday. It showed an uneven shore line as components were seen disconnected from the main structure. 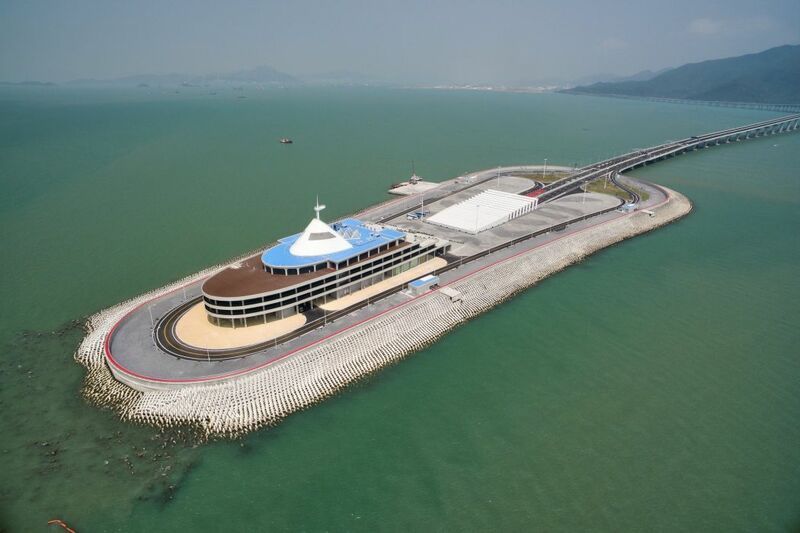 The artificial island sits on top of a tunnel connecting to the western artificial island in the direction of Zhuhai and Macau. 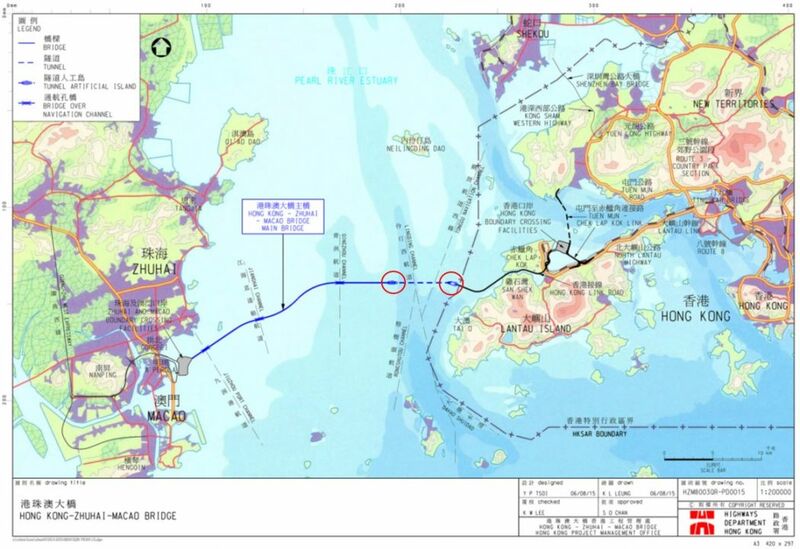 The issue was seen in photos issued by the Hong Kong-Zhuhai-Macao Bridge Authority as early as May last year. 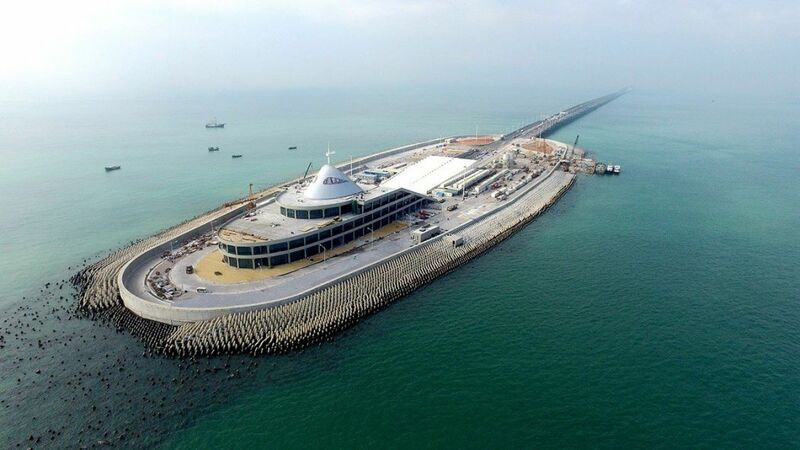 A photo of western artificial island taken by Macao Daily last December also showed a similar issue, with components drifting away from the main structure. 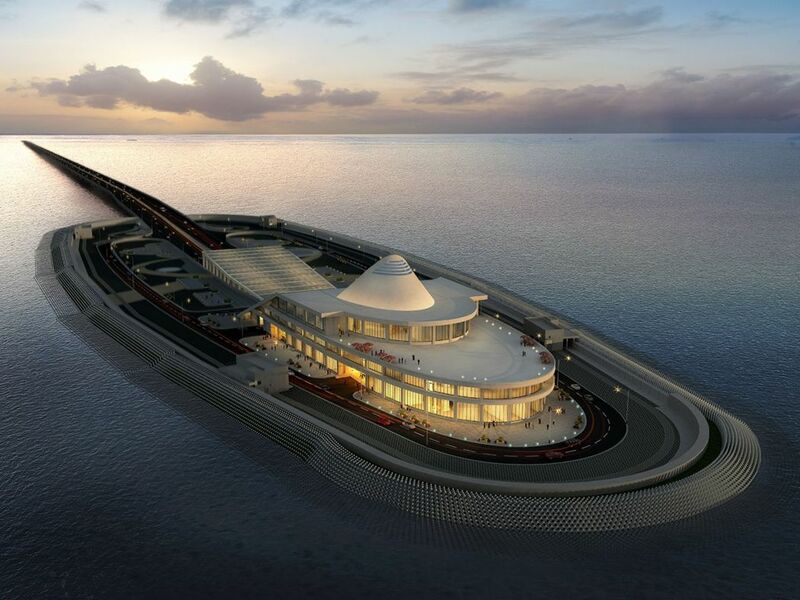 Civil and structural engineer So Yiu-kwan said that the project adopted a method whereby the artificial islands were built without removing sludge from the sea bed. He said that, if land was formed without properly removing water, it could cause the land to sink. He suspected the components may have shifted away because they lacked a solid reclaimed foundation. “[There may be a need to] constantly repair the breakwater whilst it sinks over ten years or more,” he told Apple Daily. So said he was concerned that the components could sit on top of the tunnel and cause extra pressure, with each component possibly weighing up to two tonnes. The current situation was different from the computer-generated design, where components of the breakwater appear to hold firmly around the perimeter of the artificial island. 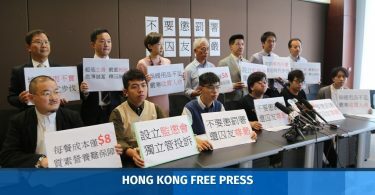 The Highways Department told HKFP that the island was not constructed by the Hong Kong side, as it was part of the main bridge project overseen by the mainland. It referred enquiries to the Hong Kong-Zhuhai-Macao Bridge Authority. The eastern artificial island of the Hong Kong-Zhuhai-Macao Bridge in August 2017. Photo: Hong Kong-Zhuhai-Macao Bridge Authority. A spokesperson of the Authority told news site HK01 that it had noted reports and was confirming the incident, but there was no substantial effect on the structure for now. He added that a computer-generated design was a rendering of an ideal effect. The computer-generated design of the artificial island of the Hong Kong-Zhuhai-Macao Bridge. Photo: Hong Kong-Zhuhai-Macao Bridge Authority. In 2015, the reclaimed island of the Hong Kong Boundary Crossing Facilities, next to the airport, was found to be moving away from its location owing to its construction method. 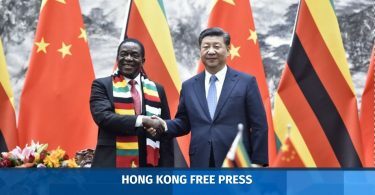 State media have suggested that the bridge may open in the middle of this year, but there has yet to be an official date set.